When your plumbing flows smoothly, you probably don’t give it a second thought. It’s when those strange sounds and smells manifest that your pipes suddenly grab your attention. 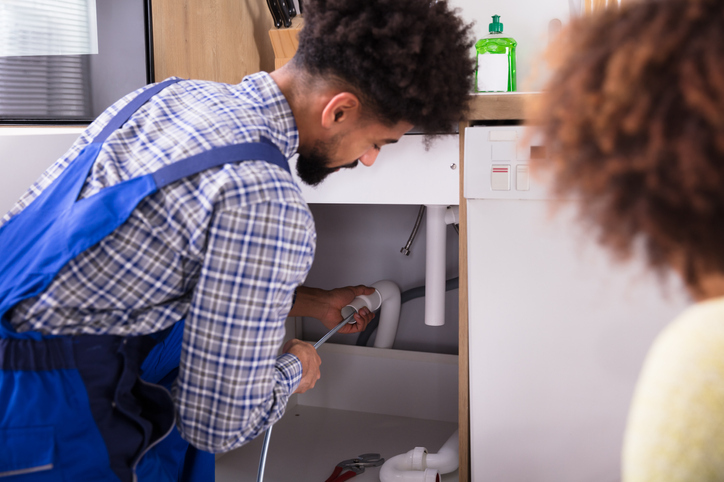 While you may be comfortable using a plunger or bottle of drain cleaner in a pinch, these are ineffective against many types of plumbing dilemmas. If you notice any of the following five problems, call an emergency drain cleaning service right away! Your fast response could save you thousands of dollars in repairs and prevent a big, watery mess. You’re minding your own business when suddenly, air bubbles start noisily rising from the toilet bowl. This is a sign that your plumbing is trying to find air, and a sewer backup is likely imminent. If other activities such as running the washing machine or taking a shower spur toilet gurgling, immediately shut off the water and call an emergency plumber. Failure to do so could result in sewer water backing up into your house. Is the kitchen sink or bathtub taking longer than usual to drain? Try at-home remedies first, such as using a plunger, pouring baking soda and vinegar down the drain, or using a plumber’s snake. If the problem continues to worsen, call a plumber as soon as possible to prevent a total drain blockage. Sewer gases rising from your drains can cause a nasty odor. This is most likely to occur in drains that don’t get much use because the water in the trap dries up. If a flush of hot water doesn’t eliminate the smell, it’s time to call an emergency plumber. It’s also possible to detect a pungent rotten egg odor with no apparent source, which could indicate a broken sewer pipe or vent under the house. If left unchecked, this problem could devastate your foundation and cause environmental issues, so you should definitely call a plumber to come check it out. Pipes are most likely to freeze in the dead of winter when temperatures remain well below freezing for an extended time. If you open a faucet on a frigid morning and nothing comes out, ice could be blocking the water flow somewhere along the supply line. You need a plumber’s help to thaw frozen pipes as quickly as possible to prevent the internal pressure from causing them to burst. If your water is anything but crystal clear, there could be a problem with the water heater, or your old copper pipes may be corroded. Regardless of the cause, colored water isn’t safe to drink, so call an emergency plumber to remedy the problem quickly. You shouldn’t wait a day or even an hour to address these situations. For quality emergency plumbing services in the Seattle region, call Puget Sound Plumbing & Heating at (206) 350-0079. Our licensed technicians are on call 24/7 to tackle your emergency and prevent the problem from getting any worse.